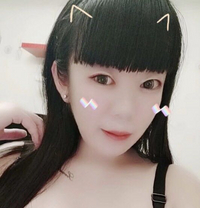 We have 206 escorts on Massage Republic that offer Nuru massage: Nuru Massage, also called Body Slide, is a massage performed with a special kind of gel between two naked bodies. Nuru massage is the 6th most popular service in Abu Dhabi among female escorts. The word nuru is Japanese language for "slippery". The odourless nuru gel is made from Nori seaweed and is highly prized for the sensation it produces in this type of massage. Prices range from 301 AED to 9,998 AED (US$ 81 to US$ 2,721), the average cost advertised is 1,057 AED (US$ 287).